This is by far my painting that people comment on the most. It has a dramatic, but peaceful layout and beautiful coloring. This valley in Oregon is extremely beautiful. The receding colors of this scene draw in the eye. 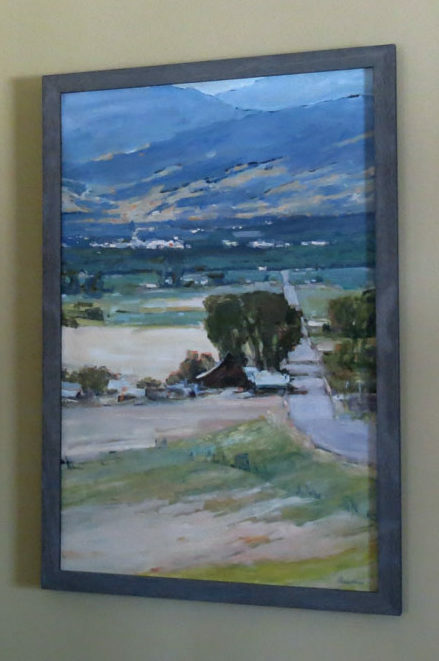 Road to La Grande won first place in the Brookings Arts Council regional show.